1,000 years ago, the Dreg'Atar armies of the demon lord known as Vatar had all but destroyed the people of Celenheim. In an act of desperation, the high wizard Zale sundered the land and created a rift around Celenheim, keeping the armies of Vatar at bay. In time, Celenheim forgot the war and forgot Vatar as they went about their daily affairs. Now, the rift is closing, and evil threatens the land once again. An unlikely hero, freed from prison by happenstance, must rise and fight for Light or Darkness, to either destroy the demon king Vatar or kill the queen of Celenheim. Set in a medieval fantasy realm, players can choose to take on the role of either a "Warrior of Light" or a "Minion of Darkness", complete with separate and unique missions reflecting the nature of that decision. 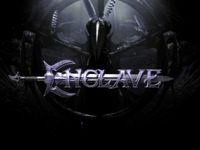 A Wii port called Enclave: Shadows of Twilight is slated for a 2012 release. Source: Wikipedia, "Enclave_(video_game)," available under the CC-BY-SA License.